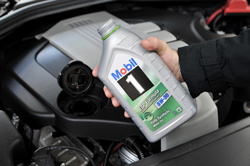 Technicians need to be far more active in explaining different oils to motorists and why their cars need them, says supplier Mobil 1. Research carried out by the oil giant shows that only four percent of drivers actually choose which grade they put in their car, while a majority rely on the technician to make the choice. While 96 percent don’t actually care about the oil that is put in their car, 65 percent wouldn’t know which viscosity grade to choose. The findings show workshops have a golden opportunity to advise the consumer on the best choices for their vehicle and potentially increase revenue as a result. The mobil1.co.uk website includes an oil selector tool with workshops could use with consumers to provide them with independent information on why they need a specific grade of oil for their car.